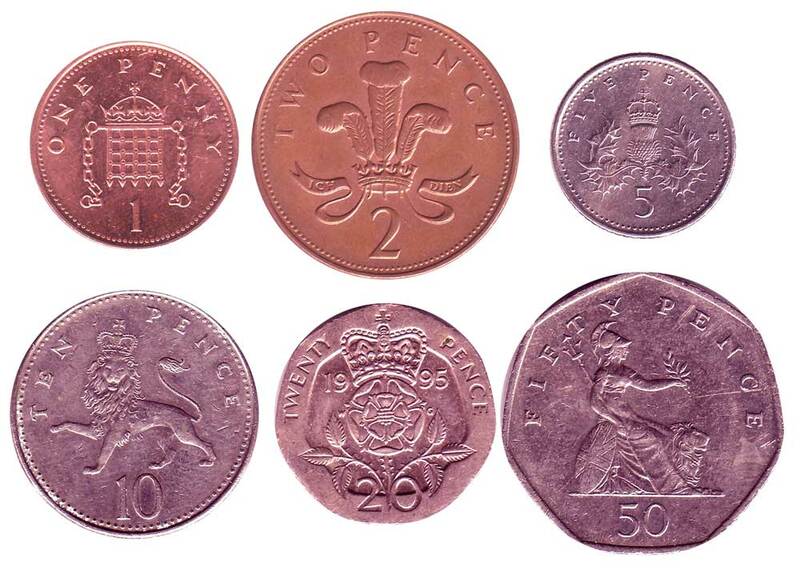 In 2008, Great Britain redesigned the reverses of their common coinage for the first time since the conversion to decimal in 1968. According to the Royal Mint, a public competition was held to come up with ideas. It was wildly popular, with more than 4000 different designs being submitted (it sure would be interesting to see some of the designs that didn't win). 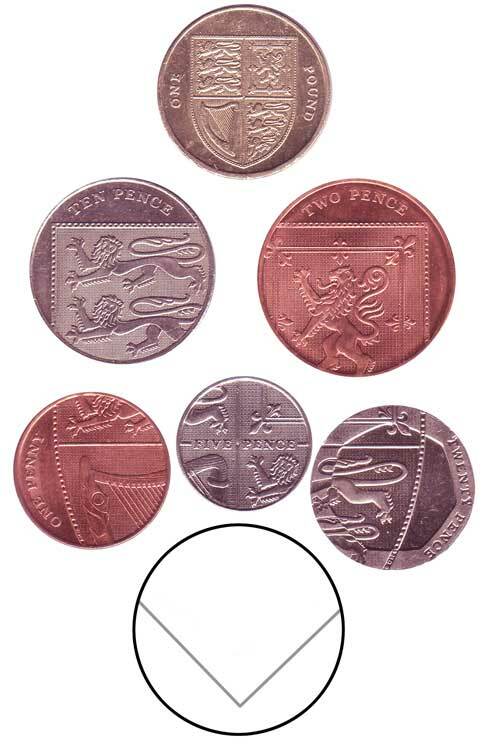 The design that was chosen, and released for the first time in 2008, is unique among modern coins because the reverses of the 6 lowest-denomination coins (1, 2, 5, 10, 20, and 50-pence) form a mosaic picture of the Royal Arms of the United Kingdom, representing the union of the countries of the United Kingdom (England, Scotland, and Ireland), when the coins are placed in the proper positions. The pound has the full Royal Arms on its reverse. I'm not aware of any other set of coins which have this type of design, where the coins can be put together to make a larger picture. A complete set in a case, such as the annual sets or special display cases offered by the Royal Mint, is striking - it is high on my wish list of coin sets to acquire. I look forward to other countries experimenting with building mosaics out of multiple coins like Great Britain has done. However, there is a problem with a configuration like this. 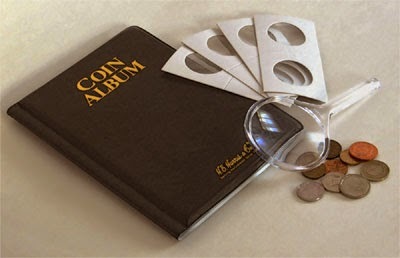 The design is lost if you store the coins in any other way - such as the 20-pocket coin pages used by most collectors. While I admire what Great Britain has done with their new coins, I feel a little let down that the only way to properly display the full design is to buy a full set or a display holder, neither of which can be stored in a coin binder with the rest of your collection.